Befitting an airport of its size and the general easy accessibility that is just another reason to love Ljubljana, getting to and from Ljjubljana Airport really couldn’t be easier. There are plenty of options, each as simple as the last. We even ran a poll recently to determine the best shuttle, car rental and taxi options. The cheapest option however is obviously by Bus. The journey costs €4.10 and takes around an hour. The AlpeTour (follow the link for the timetable) service seems to be our most frequently used, leaving from stop 28 at Ljubljana’s main station and using the same place as its drop off. There are up to 16 buses per day, between the hours of 05:00 and 20:00. AlpeTour also have frequent connections to and from Kranj. Those wishing a little more comfort in their bus ride have a plethora of Shuttle options to choose from. There are many from which to choose, with our favourites being GoOpti (rates starting at €9) and Na Letališče (starting from €8). The journey takes around 30 minutes, and you might even get free water thrown in for good measure. Ring ahead to your company of choice to confirm a seat. 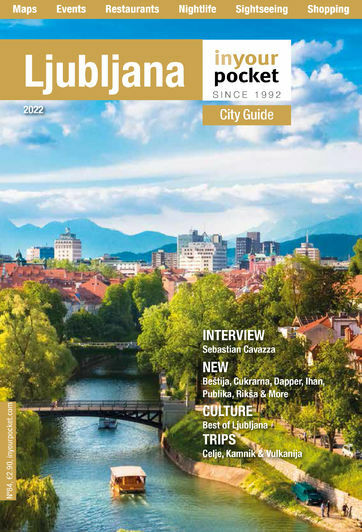 If you’re willing to splurge a little more on your method of transport, Ljubljana also possesses a vast number of Taxi services to get you from airport to town or vice-versa. We all have our favourites, but expect to pay a minimum of €20 for this journey, which should last around 30 minutes. A taxi rank stands outside the airport terminal, and those heading to Jože Pučnik can find a similar rank at the bus/train station, although we’d always recommend booking one ahead of time to your location. It has been said that exploring Slovenia by car is the best option, and people beginning their journey with arrival at the airport can do no worse than renting a car from one of the many Car Rental companies. Hertz are the most well-known (and not just because of cheap flight endorsements), but they are just one of many companies waiting at the airport to exchange money for vehicle. Finally, those heading to the airport by car really couldn’t have it easier regarding directions to the airport. Just hit the E61 motorway and follow the signs to Brnik. It really is that simple. There you have it, the comprehensive guide to getting to or from Jože Pučnik Airport. Have a safe flight/Enjoy your stay!